Gone are the days when pet owners would head out for lunch leaving their beloved animals at home as Australia’s first Pet Restaurant Chew Chew has proved to grow increasingly popular with animal lovers. At Chew Chew your pet can dine from main course to dessert, sip on a doggie cappuccino or even order a three course meal. With an always changing menu, including fish soup, beef steak and even treats such as goat’s yoghurt jelly and chicken wings, the restaurant promises customers with a 100 per cent safe, high quality menu, which also specialises in organic pet food for both cats and dogs. Founder and head chef, Naoko Okamoto, a Japanese Pet Nutritionist and Pet Care Advisor, has brought a new meaning to the term ‘doggie bag’, with the option of take-away and even home delivery for pet owners with shy or not so social animals. 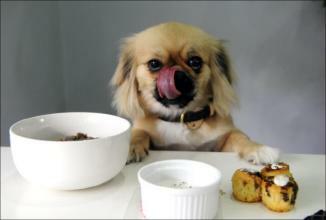 The canine eatery is located at Wollstonecraft on the lower North Shore and customers cannot seem to get enough. Okamoto has thought of everything from pet friendly food and beverages to pet birthday parties. Chew Chew is able to make a cake for your doggie and still take into consideration the health factors insuring the cake is full of nutrition and a suitable portion size for the animal. No detail is left untouched at Chew Chew as dogs are able to have friends join for the party and customers can order meals and treats for the party guests.